and Adolph Hitler. Don't get the connection? Neither does Apple. "The rhetoric calls to mind the debates about 'scientific progress' in the 1930s. Any woman would reject state-sponsored eugenics - God forbid! On the other hand, eugenics practiced by the private sector - yeah! Freezing eggs is a highly political and economic policy decision that affects all people. Or would you - in retrospect - characterize the Nazi race laws as an exclusively private sector issue in line with the era's understanding of biology, medicine, corporate law and sociology? 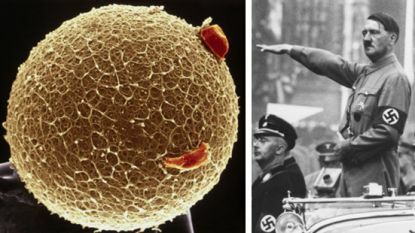 Anyone who still dares treat medical reproductive technology as an 'ethical' or 'moral' issue should be reminded of the Nuremberg Code used to prosecute members of the German medical community." Apple and Facebook are leading the way: They are paying female employees up to $20,000 to freeze their eggs. This is logical and consistent. The female body is a priceless commodity. The only inconsistency is that for Apple and Facebook, freezing nerd sperm - for the biological clock in men is also ticking - is apparently not worth $20,000. The offspring of a 50-year-old sperm donor exhibits an equally high number of qualitative deficits as that of a 50-year-old egg donor. That isn't discussed for sexist reasons that biologists often like to pass off as science (see the "slip" of the tongue of atheist-god Richard Dawkins). If one were to make an issue of it, men would perhaps notice, unlike career conscious women, that in contrast to the World War period when they were supposed to “produce” material machines for the public sphere of the fatherland - now they are “merely” human raw material for private industry. But back to people with female genitalia - to use the jargon of Facebook and Apple. Women are corpus delicti. Head first, womb later. Welcome to a rather medieval body politic! These must now be put to use as efficiently as possible by the private sector. Historically, body politics led to millions of women being burned at the stake. In modern times it was enough to put them in corsets. Today these corsets are implanted in the brain so women themselves think it “normal” to share even their most intimate bodily functions with their employer. This is now elegantly done by, on the one hand, reducing women to providers of raw material (frozen oocytes), and on the other, by harnessing their productive potential. For centuries, the female body was a battlefield for prevailing ideologies. In the postmodern feminine discourse on shaving pubic hair, whorish fingernails and fantasies of 50 Shades of Grey - as well as the depoliticized gender bath of university mental masturbation, that has been completely forgotten. Our beautiful new world is in fact really nifty for feminists. Because let's be honest: While in the past we had to cripple, imprison, cover up, and burn the female body in order to achieve the desired “civilizing” effect, today we can earn millions off of it. Anyone who still thinks progress should be viewed with a critical eye is a moralizing old biddy stuck in the past! The decision by Apple and Facebook literally installs the jargon, way of life and thinking of the delocalized frequent flyer élite, “Googlearians” and tax-exempt casino capitalists into the female body. However, that's not what matters to feminist commentators. Euphorically they write, “One thousand five hundred babies have been born since egg freezing began, and with no conspicuous abnormalities.” Striking here is the lack of thought given to the socio-political impact of the industrial manufacturing of people. 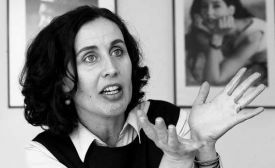 Andrea Blücher, professor of corporate law and Barbara Bleisch, host of Sternstunde [Auspicious Philosophy], only recently came forward with an impassioned plea for the human free market. They compared the “use” of dancers with that of surrogate mothers. They defended themselves against the “emotional” debate on artificial insemination, as if the freezing of eggs, surrogacy, and the industrial exploitation of mammalian cells were a moral rather than an economic and political issue. Blücher and Bleisch compared the trade in babies with ordinary organ donation. Particularly insidious about this discussion of “new capital investment” is that reproductive medicine is sold as progress - and as feminist - and furthermore, as a “question of private morality.” The rhetoric calls to mind the debates on “scientific progress” in the 1930s, after which real “success” only emerged in the 21st century. Any woman would reject state-sponsored eugenics - God forbid! On the other hand, eugenics practiced by the private sector - yeah! That is why female professors of corporate law or the private sector are often those who form the ideological and scientific avant-garde of the industrial exploitation of human flesh. Under the guise of emancipation and self-emancipation, many self-proclaimed feminists are the goose-stepping vanguard when it comes to determining female reproductive rights. Young women and girls are a valuable raw material. First the egg, then the capital: For Apple to freeze the egg isn't a moral question. Nor is it a question of promoting women, of quotas, or even of emancipation. Freezing eggs is a highly political and economic policy decision that affects all people. Or would you - in retrospect - characterize the Nazi race laws as an exclusively private sector issue in line with the era's understanding of biology, medicine, corporate law and sociology? Anyone who still dares treat medical reproductive technology as an “ethical” or “moral” issue should be reminded of the Nuremberg Code used to prosecute members of the German medical community. A merely business oriented approach to issues as important as the freezing of human eggs and its defense by science leads directly to political, economic, and civil laws that legitimize (in)human reproduction and a contempt for and destruction of human life. Who knows: perhaps even those successful individuals, who so indignantly deny any political responsibility for themselves when it come to such important issues, will at some point face a tribunal … if all hope isn't frozen along with the oocytes. Trouw, The Netherlands: Apple vs. Samsung: In America, Even a 'Fart' can be Patented!